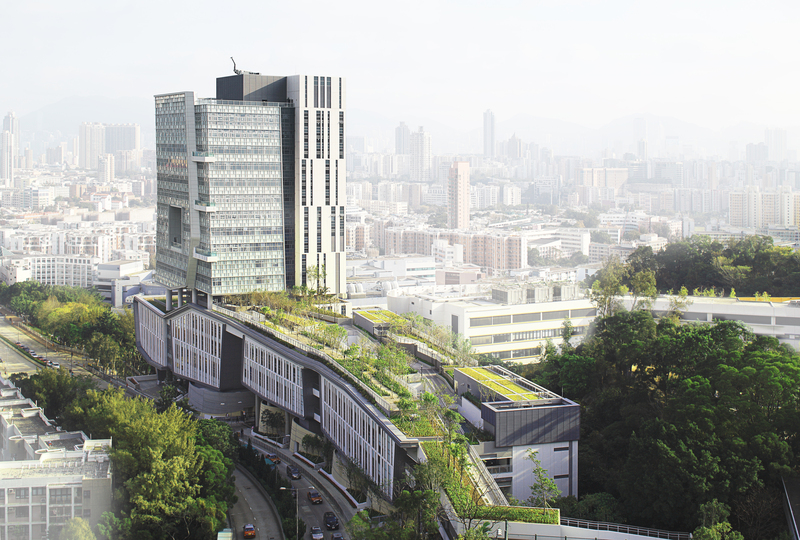 Academic 3 is a new 20-storey landmark building in the centre of the City University of Hong Kong with a total floor area of 37,300 square meters. 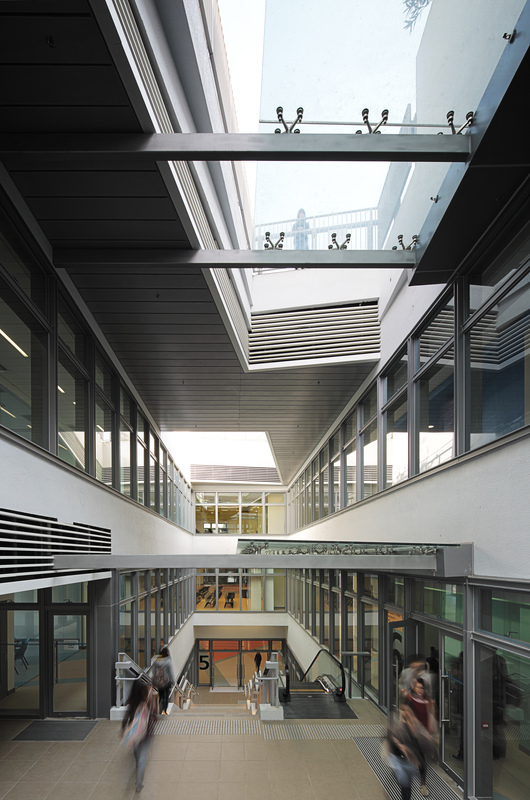 It comprises of classrooms, teaching and research laboratories, multi-function rooms, common areas, administrative offices, a 600-seat lecture theatre, a canteen, and a roof garden. 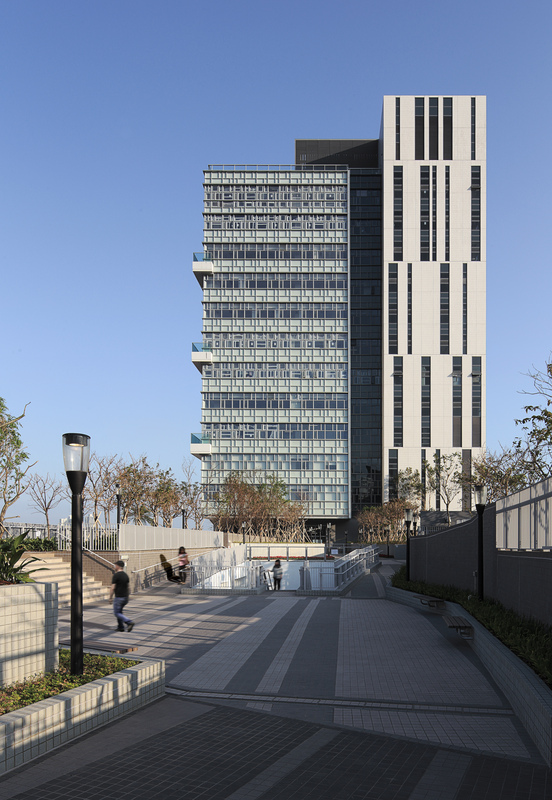 It forms the Connector between sectors of the campus and offers an innovative Green Heartland in an urban university. 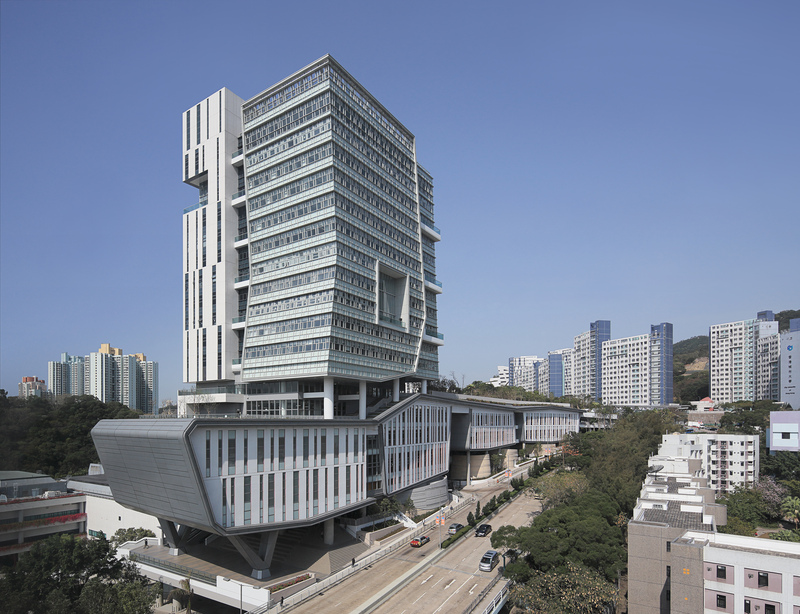 The City University of Hong Kong required a new teaching and administration building in its Kowloon campus to accommodate its expanding intake of students in light of the new local 3+3+4 teaching structure. 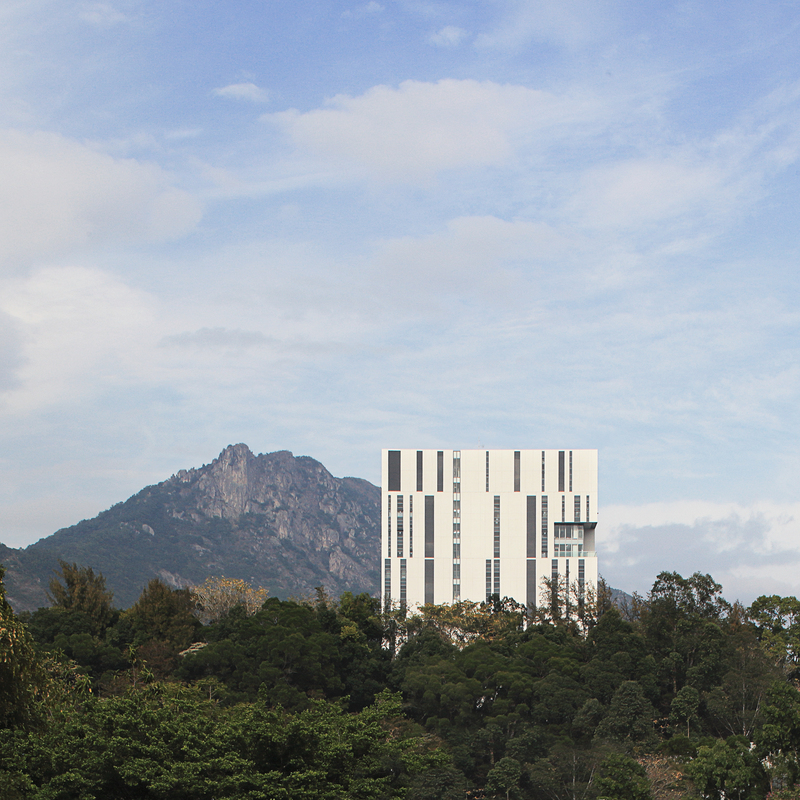 Four key principles drove the Architect’s design solution for the building when working with the site parameters of location and height for a tower; forming a strong connection between the remote dormitory sector uphill and the campus centre downhill, erecting a level green deck across the sloping site to recover the greenery, embedding sustainable design to create a green icon against the backdrop of Lion Rock, and elevating the ground plane to enhance permeability and natural environment at street level. 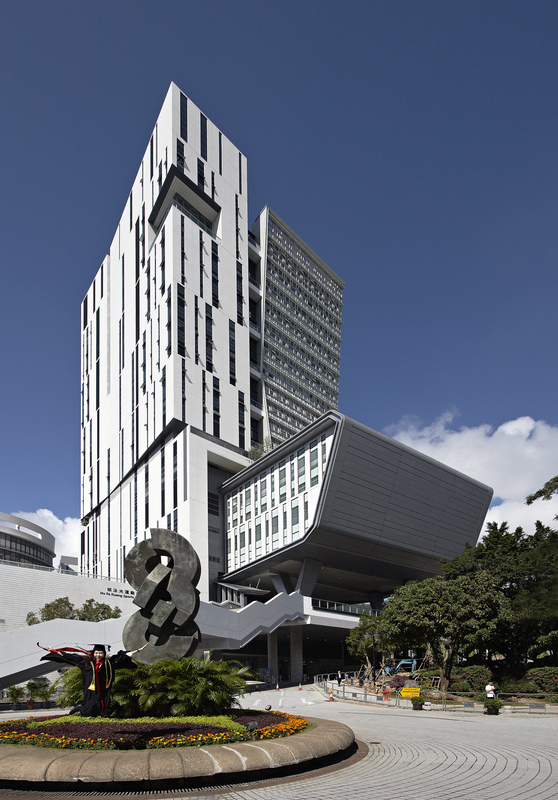 More than just functional facilities, the new building on Tat Chee Avenue has given the university an iconic new centre for both its students and staff, vastly improved public amenities and circulation and has provided the university campus with a new prominent Green Heartland in such a high-density community.